Procare Dental > Blog > Dental Clinic > Dental Clinic In Mumbai > What can be corrected with cosmetic dentistry? Cosmetic dentistry refers to any dental procedure which focuses on improving the appearance of a person’s teeth, gums or overall bite. It can include any procedure to enhance the color, size, shape or alignment of the teeth, gums and the smile. This is why cosmetic dentistry is also called smile makeover. Many dental clinics in Mumbai specialize in cosmetic dentistry have been performing these procedures for years. Who can undergo cosmetic dentistry? Any person, who has irregularity in teeth or gums either due to the birth defect, or improper teeth growth, or damage to the teeth due to an accident, can go for this treatment. What are the different procedures that come under cosmetic dentistry? Teeth whitening – This is done for yellow, discolored or stained teeth caused due to smoking, drinking coffee, tea or bad oral hygiene. A bleaching agent is applied to the teeth which whiten the color of teeth. Sometimes an argon laser may be used along with the bleaching agent for better results. Dental implant – This is used to treat a missing tooth which may have been lost from birth or due to later trauma or an accident. An implant is a titanium, post that it is screwed into the jawbone in place of the original root. 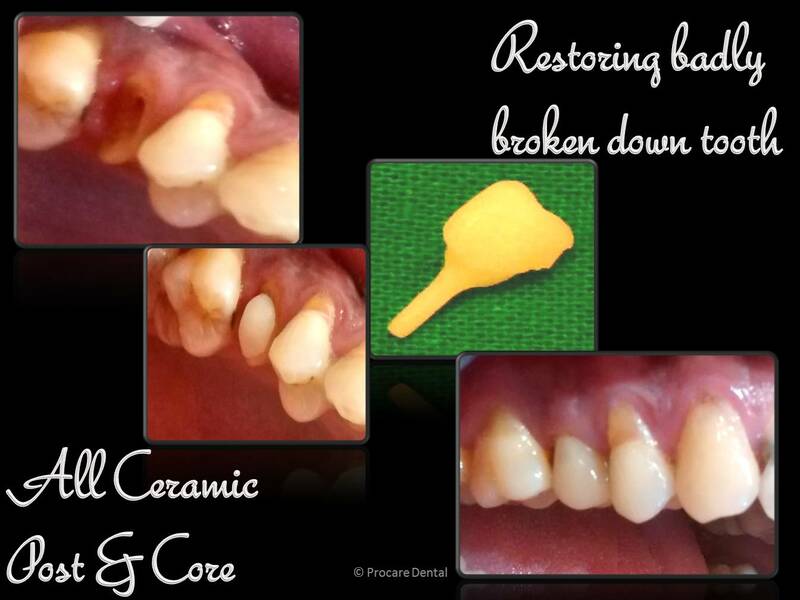 Then an artificial tooth (crown) is fixed on top of the implant which functions and looks exactly like a real tooth. Bonding – Bonding is used when the tooth is broken or chipped and which is not in its proper shape. A composite resin is applied on the teeth, sculpted in required shape and then polished to look similar as the real one. Veneers – When whitening does not work or the tooth has lost its natural enamel, veneers are used. These are customized porcelain or composite lamination that are applied over the tooth to give the look of a perfect set of teeth. Inlays/ On-lays – These are used to correct small structural damages in teeth which are caused due to decay or broken by an accident. They are custom – made of porcelain or composite in a laboratory specifically for each patient and are later fixed to the tooth using adhesives. Prosthodontics – It is a study in dental prostheses for corrective treatment and maintenance of normal oral function including corrective procedures for maxillofacial tissues like the salivary gland, jaw bone, jaw joint and gum tissues. Orthodontics – It is a study of diagnosis, treatment, and correction of teeth alignment and or improper bite. Many dental clinics in Mumbai have dentists with specialization in either one or both of the above sub-specialties and are the experts in cosmetic dentistry.